One of the things you’ll need to consider is whether you would like to have children at your wedding. It’s a contentious issue. 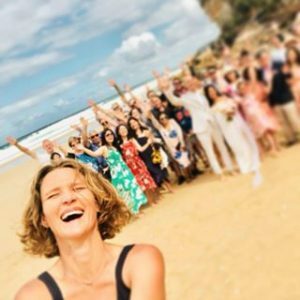 Of course, it’s not just you who might feel uncomfortable with children being there – according to a survey 52% of mothers wouldn’t bring the children to a wedding. However, most mothers feel that the decision is up to the bride and groom. Some people are of the opinion that if you’re going to invite children you need to organise something for them to do. For example, you could have a bouncy castle or a place where they can go and play which caters for them. One of my couples are organising a couple of babysitters to take care of the kids during the ceremony in a room separate to where their wedding will take place. The other thing to consider where kids are involved is that kids usually get hungry at midday and early at night and need to eat in a timely manner. If kids are part of your day it’s a good idea to provide a separate menu for them to make sure they are eating at a time suitable for them. Also, if you have a baby and you’re getting married you may want to think about your choices. I heard of a couple who’s baby was screaming for the bride the whole way through her personal vows. If you have a baby and you’re getting married remember babies are unpredictable. You may need to judge according to the circumstances whether your baby will be part of the crowd or not – or have your baby sitter decide that at the time. Let them know if you want them to take your baby away from the ceremony if they start crying. It’s good to have had a chat about your preferences before your wedding day. 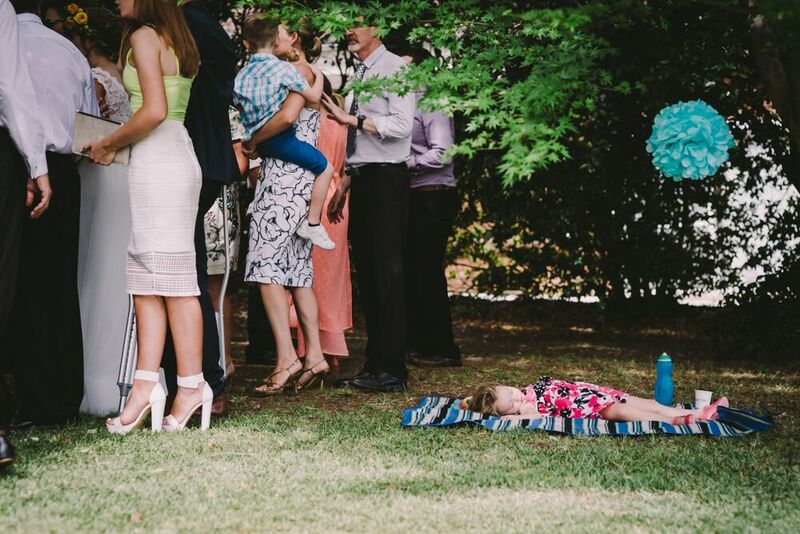 Some people love having kids at a wedding and feel that they bring extra joy and celebration to the occasion. Others feel that it’s the worst choice ever and that kids should not be allowed to attend weddings under any circumstances. What do you think?